Surrounded by the Laurentian mountains and woods, I'm living a simple life of gratitude with my soul mate and fur family. 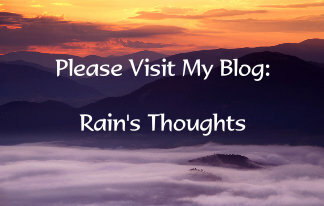 This blog is a journal of my gardening and homesteading efforts, my hobbies, my life and my thoughts. Thanks for reading! The theme for Michael's Scribble Picnic today is My Place/Town/County/Borough/Province/State. 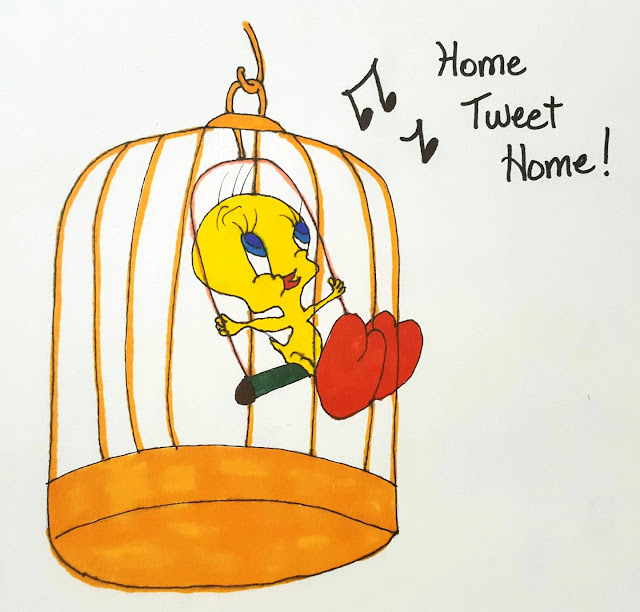 Tweety Bird's whole world revolves around his cage, so I'd say that was his home! I think for me, the most obvious place I call home is Canada. I love this country. 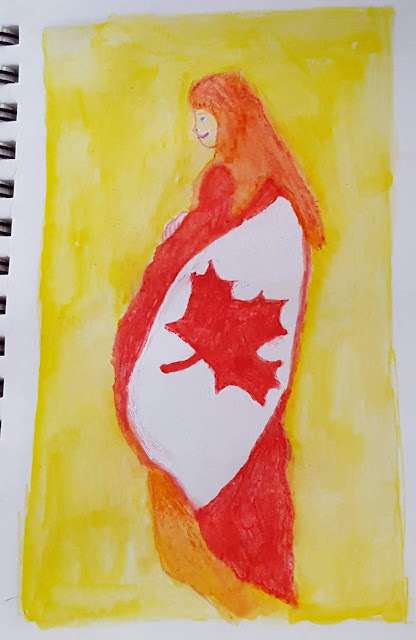 The politics in my province have worn me down to the point where I plan on leaving for good by the summer - despite that though, I consider myself a proud, happy Canadian. If I really think about "my place"...where I feel the most at home, where I feel safe and protected...it's the woods. No matter what official name I put to the land, the woods are MY place! If I don't get out into the woods each day, with the dogs or just on my own, I don't feel right. It's my place of tranquility and spirituality. That's why we are being so scrupulous with regards to finding our new place. It has to be surrounded by trees and ideally in the woods! But...comfort food always helps any woes! 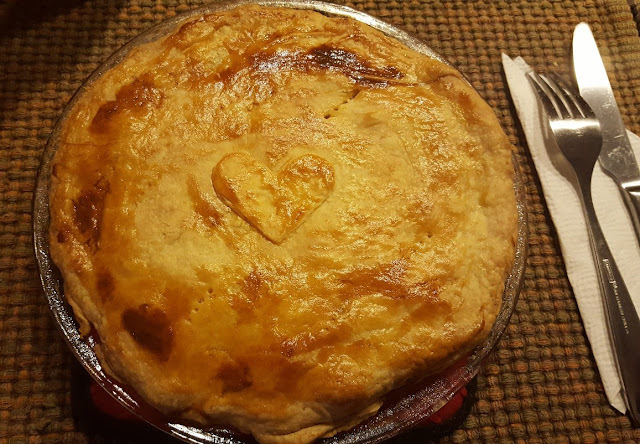 :) I had leftover filling from New Year's so I made another Tourtière (meat pie). We're shopping from the pantry lately too! I love that! I canned many jars of spaghetti sauce last fall and I'm so thankful we have lots of it on hand! I so love your rendering of Tweetie Bird - his feet look like early Valentine hearts!!!!!!! Sending continuing good luck for the house hunting dear - I just know the perfect place for you will be found even though it may take a little time. I used to love tourtiére when I was still a meat eater back in the '60's - my MIL was French Canadian and we all lived in New Hampshire, she made a good pie and it was something very new to me at that time. Lovely art pieces on the home topic! Oh your food looks amazing Rain, yum. Best of luck with the house hunting. I love your artwork and when I was a kid I spent ALL my time in the woods. I love it but we live in the city so no woods here! I might have asked you before----if I did, forgive me because I lost what I asked for (if I did ask for it-lol). Could I have an email addy for you? I won't share it with anyone -I would just like to respond to your comments when you leave one. My email is dianakos1@gmail.com. "I love this country. The politics in my province have worn me down to the point where I plan on leaving for good by the summer..."
You can come here, our politics are delightful! Haa...yes, I am laughing maniacally and all the Internet is laughing with me. Tweety bird is so cute! I love how you sketched your home in the Canadian woods. Your woodsy sketch is calming. Everything about your country life sounds nice. Maybe, we'll both find our dream home this year. We're still looking, as well. We can't be off-grid like you with DH's work and all plus if the truth be told I'm a bit more of a city gal. I prefer the conveniences. Growing up in southern WV we didn't have the advantages we do now and we really like it a lot. Are search is confined to the city or not far from it. We like the idea of having city utilities and other benefits. I'm glad you got some professional advice and still have your original research options available. Sorry that property only almost checked off everything on your list. But perhaps that is a step in the right direction luckwise toward your dream home! I'm glad you found someone to talk to, with professional advice. Home for me, is the Upper NE of the US. Only place I want to be. 4 seasons and all. :-) My country has not always been perfect. (What country has?) But I love it, and always will. oh what a bummer about that property. i hate it when i think i've found the perfect place and then something comes along that totally cancels it out. but i seriously think you will find just what you want. especially the area you are looking in, there just have to be a lot of places. i also think a lot in that area might be for sale by owner. your food, as always. looks so good. i finally have my appetite back but my stomach can't handle much more than broth and crackers. 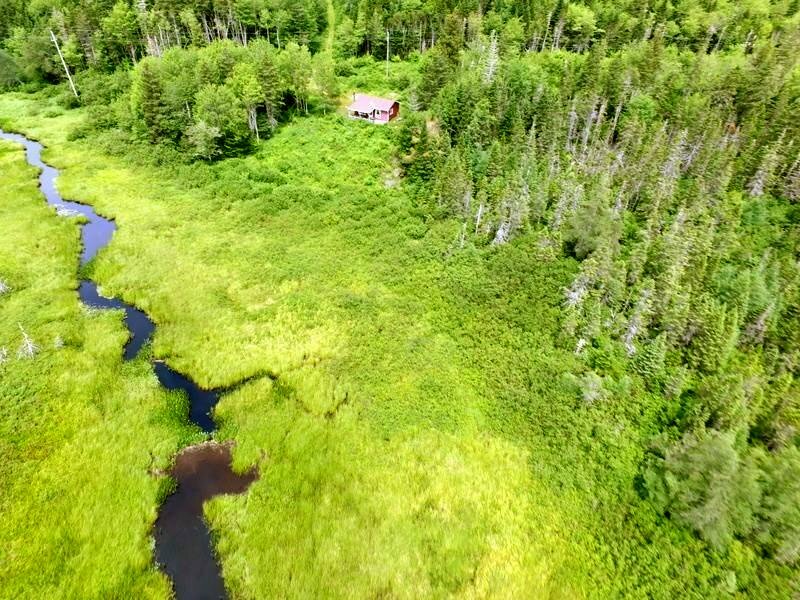 When looking at property, the first thing I ask is about the water and well. How deep? How many gallons per minute (gpm) or in your case I guess liters. I ask to see the well drillers log (every driller has one and is on record). Anything less than 20 gpm I leave, as is a well that is over 250 ft. deep. Water is main importance, especially with gardens and animals. We once had a place with 3 gpm….trust me, that is a deal breaker. Also, the taste and hardness is important....ask me how I know this. Water can change from one property to the next or just a few feet difference. Our neighbor had 45 gpm while we had 3. Their water was clear and sweet while ours had lots of iron that stained our clothes. Realtors like to not mention these things unless you ask. Love the Tweety Bird. They say (sure would like to find out who "they" are someday!) it's important to our health to be out in nature frequently. I admire you for making it any every day occurrence. I'm sure having the dog(s) who love to go out encourages you to do so, too. Regardless, that realtor should not have avoided your questions and should have gotten back to you without you having to call her. Would have saved you continuing to think about that particular piece as long as you did. 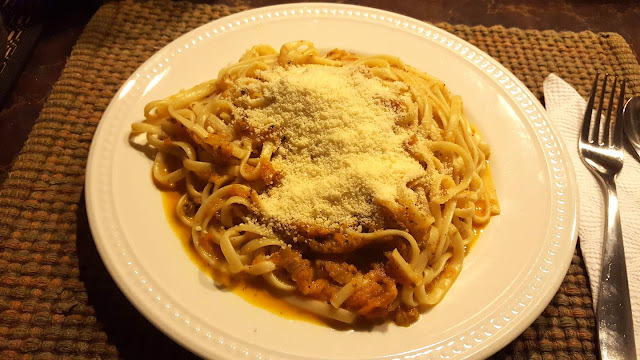 Oh, that home-canned spaghetti sauce and pasta made me hungry! Egg Foo Yung for us for dinner tonight, but I may have to plan some pasta and sauce for us soon! Yum on all the food, and kissing the frogs is very good advise! I am certain you will be out in the woods of your own soon, and then you will be in the same shape as we are, with getting everything planted for a bountiful harvest this coming fall! Love the Canadian Hug, as she looks like she just walked out of the woods! Sweet! Your food...oh my gosh...always so delicious! And I love your artwork. So much fun. I'm so glad to hear you got some good advice on the house hunting. It can certainly be exhausting but imagine when it finally happens. Oh, the joy! Let the universe know what you want and it will happen. Believe in the magic! Wonderful art! Sorry the land fell thru but at least you knew. Hopefully you'll find the right place, maybe winter is tough to find something available? Rain - Like so many other things, it is a race, not a sprint. Be patient, stay the course, keep drawing and cooking. From the photo of that piece of land, it looks fabulous. Too bad the neighbors were that close to it. The food looks amazing. The food looks great and the peeper is too cute. We have so many of them here in our yard. I love when the first spring one wakes and he's the only one awake. It sounds so cute. Great food, minus the cheese Ha!!!!! Funny, right? You can have all my cheese and I'll take whatever whole food you don't fancy. Great art work...Tweety Pie...waht's not to love? I'm sorry you were disappointed as that house did seem perfect but yes, who wants someone 30 feet way? You'll get there and I agree with the kissing toads theory! LOL! I like canada and had even one time wanted to move there, even now, the u.s. is not that great right now. We physically looked at about 50 homes in three months before we found the perfect home for us. It takes time and seldom does anyone find the perfect house right away. Enjoy the hunt, it can be frustrating, but also fun. What a shame about that beautiful piece of property! But you were so wise to turn your back on it. Your perfect place is out there, waiting for you. Besides - now you can enjoy all your comfort food! Oh, ymmmm! Hi, Rain! 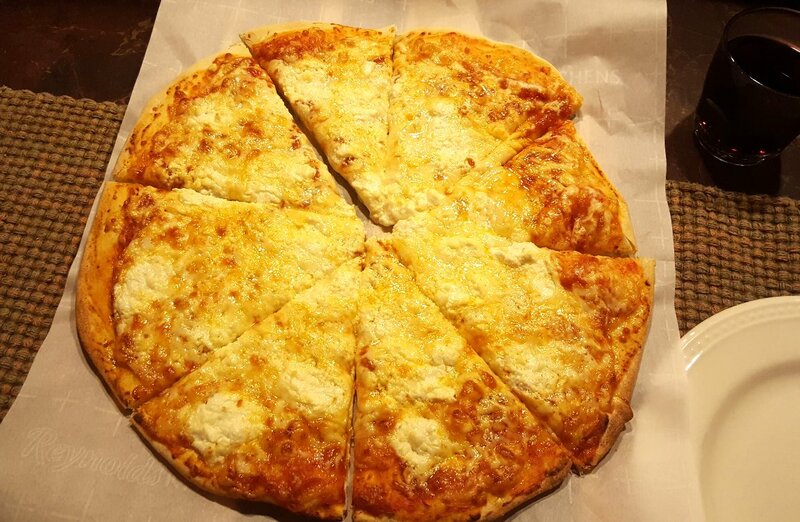 Your comfort food looks delicious! 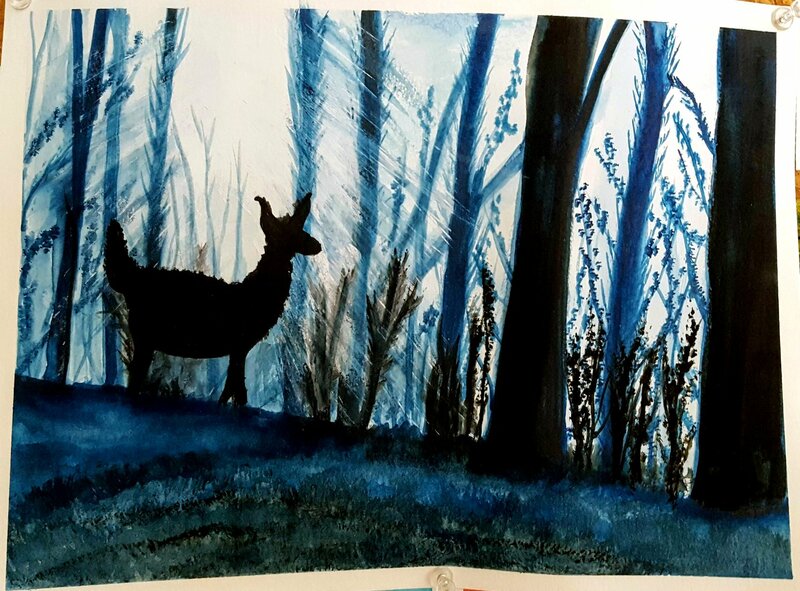 I especially like the painting of the deer in the woods. I love the woods, but I love big skies and wide open spaces more. What's important, though, is that a person has a place to go that fills his or her soul with peace and a sense of the divine. Good luck as you hunt for that special place to put down roots. 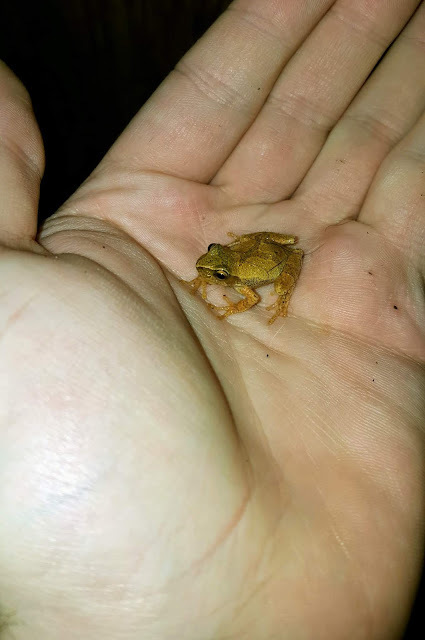 I didn't know how tiny spring peepers are! Your meat piece is a mouth-watering food. I must have missed your other post? Wow, you are going to move to another province? I wish you all the best my friend! I know everything will work out amazingly! Love your art and love your food! Big Hugs! oh that food.. you've got my tummy rumbling. wow! Lovely art pieces on the home topic! 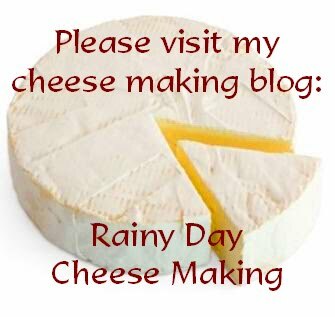 Oh your food looks amazing Rain, yum. Best of luck with the house buying. Dear Rain, I'll be following your house hunting with interest and hoping that the perfect place will turn up soon. I watched a tv programme by Ben Fogle the other week about a family bringing up their daughters in very rural Canada. It was inspiring, the girls were wonderful - I thought of you! Extreme weather reported on today's news and I wonder if it is troubling you? Love the little froggie. Course I love nature....all but spiders! haha. Great drawings. Always loved Tweety. My name is Rain. I live in the Laurentian mountains of Eastern Canada. I have dreams of buying a home and property by the year 2019. For now I'm a rural homesteader, learning everything I can about life, land and critters. Where has the Followers Gadget gone??? Preparations for Easter. . . . . . . .
Could I be more disorganized? Bogged Down and Slightly Discouraged! I'm Excited About The Future!! !